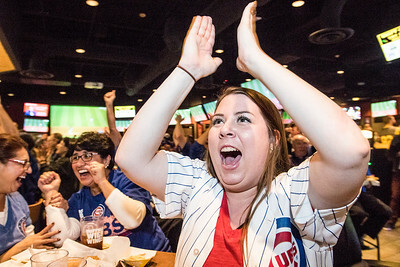 Sarah Nader- snader@shawmedia.com Morgan Alwin, 18, of Lake in the Hills cheers on the Chicago Cubs while watching Game 7 of the World Series against the Cleveland Indians at Buffalo Wild Wings in Algonquin Wednesday, Nov. 2, 2016. Sarah Nader- snader@shawmedia.com Gloria Leal of Algonquin cheers on the Chicago Cubs while watching Game 7 of the World Series against the Cleveland Indians at Buffalo Wild Wings in Algonquin Wednesday, Nov. 2, 2016. 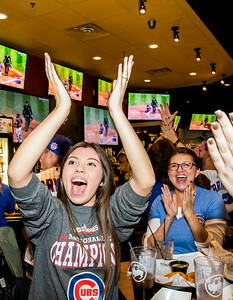 Sarah Nader- snader@shawmedia.com Kim Campos (left), 18, of Lake in the Hills and Maria Bielat of Lake in the Hills celebrate a Chicago Cubs home run while watching Game 7 of the World Series against the Cleveland Indians at Buffalo Wild Wings in Algonquin Wednesday, Nov. 2, 2016. 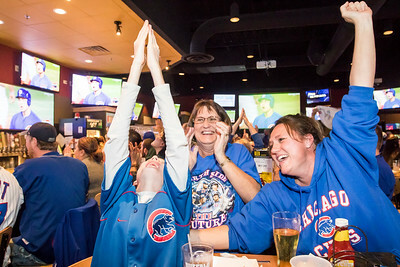 Sarah Nader- snader@shawmedia.com Tyler Coughlin (left) of Cary, Nancy Schultz of Huntley and Heather Coughlin of Cary celebrate a Chicago Cubs home run while watching Game 7 of the World Series against the Cleveland Indians at Buffalo Wild Wings in Algonquin Wednesday, Nov. 2, 2016. 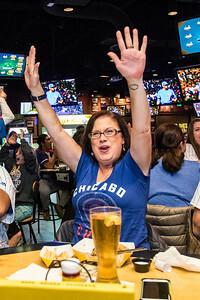 Sarah Nader- snader@shawmedia.com Sheila Cook (center) of Lake in the Hills celebrates a Chicago Cubs home run while watching Game 7 of the World Series against the Cleveland Indians at Buffalo Wild Wings in Algonquin Wednesday, Nov. 2, 2016. 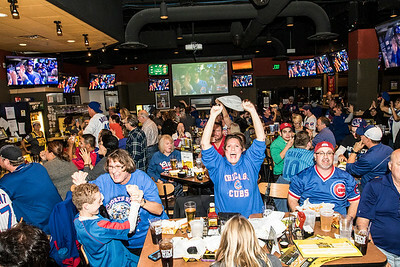 Sarah Nader- snader@shawmedia.com Chicago Cubs fans celebrate a Chicago Cubs home run while watching Game 7 of the World Series against the Cleveland Indians at Buffalo Wild Wings in Algonquin Wednesday, Nov. 2, 2016. 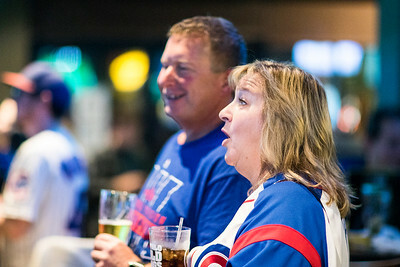 Sarah Nader- snader@shawmedia.com Yvette Campos of Crystal Lake cheers on the Chicago Cubs while watching Game 7 of the World Series against the Cleveland Indians at Buffalo Wild Wings in Algonquin Wednesday, Nov. 2, 2016. 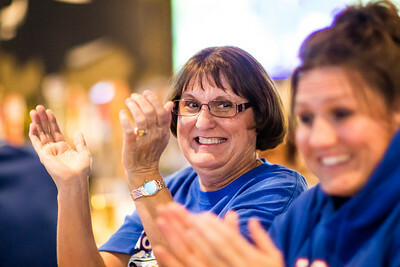 Sarah Nader- snader@shawmedia.com Nancy Schultz, of Huntley cheers on the Chicago Cubs while watching Game 7 of the World Series against the Cleveland Indians at Buffalo Wild Wings in Algonquin Wednesday, Nov. 2, 2016. 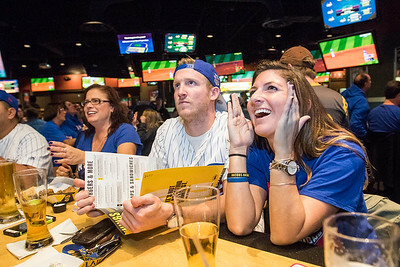 Sarah Nader- snader@shawmedia.com Chicago Cubs fans Zack Peterson (left) of West Dundee and Emily Susmarski of West Dundee watch Game 7 of the World Series against the Cleveland Indians at Buffalo Wild Wings in Algonquin Wednesday, Nov. 2, 2016. Sarah Nader- snader@shawmedia.com Melissa Brightman of Algonquin watches the Chicago Cubs in Game 7 of the World Series against the Cleveland Indians at Buffalo Wild Wings in Algonquin Wednesday, Nov. 2, 2016. 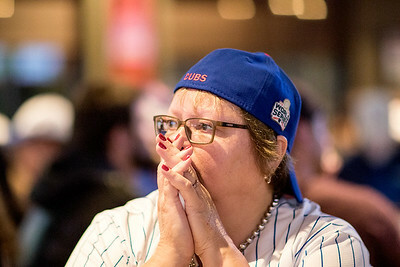 Sarah Nader- snader@shawmedia.com Kathy Gorecki of Algonquin watches the Chicago Cubs in Game 7 of the World Series against the Cleveland Indians at Buffalo Wild Wings in Algonquin Wednesday, Nov. 2, 2016. 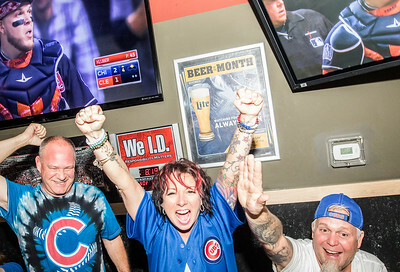 Tyler Coughlin (left) of Cary, Nancy Schultz of Huntley and Heather Coughlin of Cary celebrate a Chicago Cubs home run while watching Game 7 of the World Series against the Cleveland Indians at Buffalo Wild Wings in Algonquin Wednesday, Nov. 2, 2016.